Home | Toddler | Todder Health Concerns | What is Urticaria? Urticaria is characterized by an itchy, red or pinkish, raised rash (the spots of which are known as weals), which can crop up in different parts of the body. Urticaria (also known as hives, welts or nettle rash) is an itchy skin rash that usually lasts for only 24 hours or so, but can last for weeks. It can be triggered by an allergic reaction to one or more of many different things, including contact with nettles, allergens, some medications, getting overheated and some foods. In some cases, though, the trigger is never discovered. Anyone can get urticaria, but it's most common in children. In short-lived (or acute) urticaria, there's usually a traceable trigger, whereas in chronic urticaria (defined as lasting for more than six weeks) the cause is often unidentifiable, but it's not an allergic response. It's thought that chronic urticaria, which is rarer than acute urticaria, may be linked to other diseases. 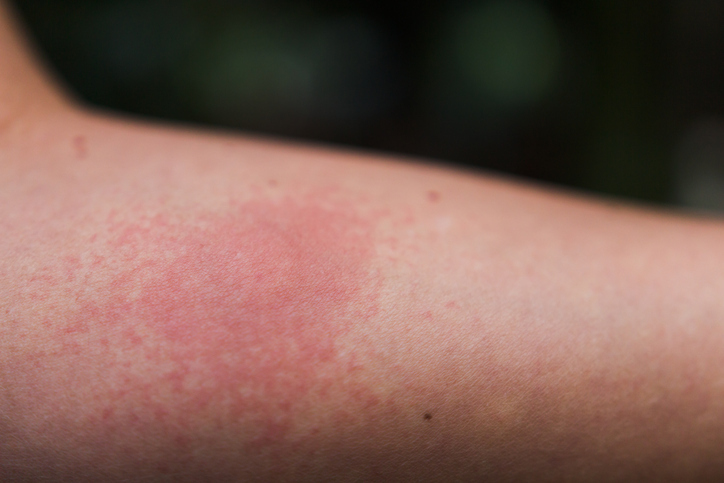 Urticaria can sometimes be an early symptom of anaphylaxis, which is a severe allergic reaction that can be life-threatening if not treated immediately. Urticaria is characterized by an itchy, red or pinkish, raised rash (the spots of which are known as weals), which can crop up in different parts of the body. Typically, as one set of weals disappears a new set appears elsewhere. Urticaria that causes bruising and lasts for more than 24 hours needs specialist attention urgently, because it can indicate a more serious form of the condition. What are the treatments and remedies of Urticaria? Many cases of urticaria don't need medical treatment and get better on their own. If you get the condition severely in pregnancy, there are medications your doctor can prescribe, but the pros would have outweigh the cons. Antihistamines are usually the first medical treatment for urticaria, either bought over the counter from a pharmacist or prescribed by your health professional. If these aren't effective enough, corticosteroids might be given. Itching can be relieved by using soothing lotions, or an anti-itch cream. Some people with urticaria, whether acute or chronic, also have angioedema, which is swelling deeper in the skin's tissues. If you suffer from this, or if chronic urticaria doesn't respond to treatment, you should be referred to specialist, as angioedema can cause breathing difficulties.